1604 14th St S, Birmingham, AL.| MLS# 819251 | Richard Jacks UABLIVING.com 205-910-2297 | Birmingham AL Real Estate | Contact us to request more information about our Homes for Sale in the Birmingham AL area. Charming 2 Bedroom 1 bath home in Southside! 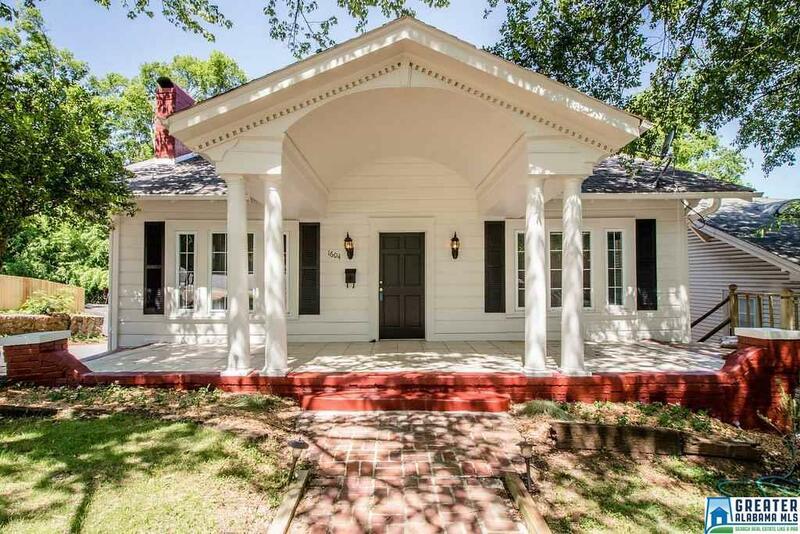 This home is minutes from Downtown Birmingham, UAB, and all of your favorite Birmingham restaurants. Sits on a large lot! The home features GLEAMING Hardwood floors! Cozy Kitchen with STAINLESS APPLIANCES! Laundry Room! Amazing Living/Dining Area with a gorgeousFireplace and large windows offering tons of natural light! Outside you will find off street parking in rear of home! FENCED-IN Backyard! Schedule your showing today this Southside Beauty will not last long! FRESH PAINT on exterior and interior! Driving Directions: From 10th Av S Turn South Onto 14th Street And Follow From Dreamland Bbq Up The Hill On 14th Street. Home Will Be On Right.